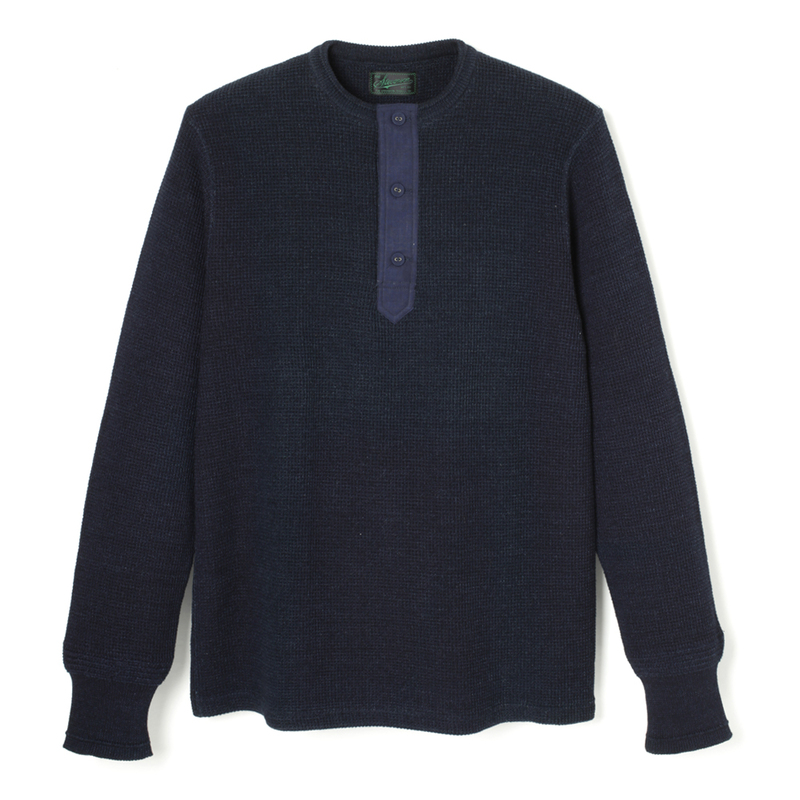 A henley neck sweater made using a mid-gauge knit (12G) woven with rope-dyed indigo yarn. The fabric is made of two-ply 30 count (30/2) yarn, woven in a waffle weave. Fly is reinforced with an indigo dyed fabric, featuring buttons that are wrapped in same fabric. The fly and body will fade with wear, creating a contrast in color.